Tuesday, 03 July 2012: For two years and six months, Greece is in the news, for all the wrong reasons..
Off beat! (03): Should Kids Beget Kids? If you have concerns about your immigration status in Uk contact Maria Fernandes. 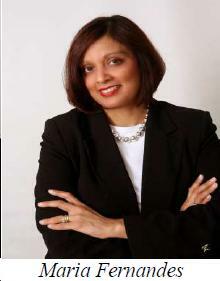 Maria Fernandes has been in practice, under the name Fernandes Vaz, exclusively in immigration for the past 25 years. Fernandes Vaz is based at 87 Wembley Hill Road, Wembley and can be contacted by telephone on 0208 733 0123, or by email on info@fernandesvaz.com. Further to our recent news coverage on UK Immigration, Government has announced further changes to Tier 2 (skilled workers with an offer of employment) which will affect applications made after 14th June 2012. Bombay, now known as Mumbai, is home to around 10 million people. It is a thriving cosmopolitan, multi-cultural city, and is the centre of India’s entertainment industry. Mumbai has been growing for five hundred years, even though it was built on what initially looked like very weak foundations. At first there were just seven islands separated by swamps: the land was dangerous and unhealthy. A thousand years ago the islands were part of the Magadhan empire. Later they belonged to the Silhara family and in 1343 they became part of the lands of the Sultan of Gujarat. In 1534, the Portuguese captured the islands and established a trading centre (or ’factory’) there. 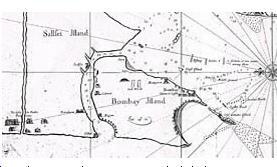 The Portuguese called the place Bom Bahia, meaning ’the good bay’, which the English pronounced Bombay. This trading place slowly grew, with local people trading products such as silk, muslin, chintz, onyx, rice, cotton and tobacco. By 1626, there was a great warehouse, a friary, a fort and a ship building yard. There were also new houses for the general population, and mansions for the wealthy. If you want to create a tropical feel in your garden this summer to be the envy of your neighbours then think about buying a banana plant. They are fantastic for..
Home to nearly 96 lakh people, Bangalore district is growing three times faster than the rest of Karnataka, cramming more than 4,300 persons into every square kilometre.